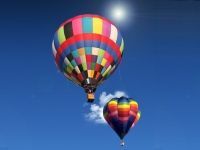 Take a romantic hot air ballon flight in PA! 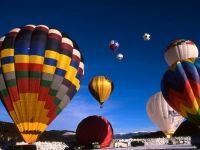 Find the best places to go hot air ballooning in Pennsylvania! One of the Top Places to Go Hot Air Ballooning in PA! Experience the picturesque landscapes of the Pennsylvania countryside with Endless Mountains Hot Air Balloons, Inc.! 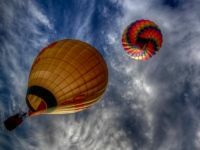 In addition to hot air balloon rides they offer exclusive flights, tethers, commercial promotions, and flight training in both Northeastern and Southeastern PA. The pilots at Endless Mountains have maintained a 100% safety record since 1982, always using the safest and most advanced equipment available. The PA balloon rides are perfect for any special occasion, whether it be an anniversary, engagement, wedding, birthday, or retirement. Gift certificates are available. A champagne toast is included with every flight (non-alcoholic champagne is available by request). All flights occur twice a day and last about 45 minutes to an hour (depending on the weather). If your flight gets cancelled due to thunderstorms or other drastic weather conditions, it will be re-scheduled at no additional cost! A maximum of 4 passengers, plus a pilot, are permitted in each balloon. Best Hot Air Ballooning Company in Philly! Lollipop Hot Air Balloons in Chester Springs will provide you with an aerial experience you'll never forget. Witness wild geese soaring through orange and fuchsia skies. Catch deer and fox scampering in out of the brushes as you fly above them. Lollipop Hot Air Balloons has been serving Chester County since 1984, and boasts a flawless safety record. The pilots are FAA certified and have a total of 28 years of ballooning experience. They're chosen not only for their incredible professionalism, but also for their ability to amuse and entertain their many passengers. Keeping up with customs, each ride begins with a champagne toast (or soft drink of your choice) and ends with cheese and crackers as an after-flight refreshment. The rides are an hour in length, flights are scheduled Tuesday through Saturday, and the primary flying season is May through October. Lollipop is the largest hot air balloon company in Philadelphia's suburban area! Romantic Balloon Rides in Pennsylvania! 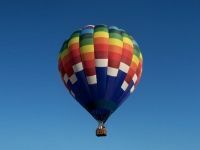 Air Ventures Hot Air Balloon Flights is Chester County's premier ballooning company. Soar through the skies in one of their state-of-the-art, brightly colored nylon aircrafts and enjoy a beautiful view of the county's countryside. Each balloon fits parties of up to seven people, plus the pilot. For best results, reserve your flight approximately two weeks in advance. Couples will love the Champagne Dinner Flight Package, which includes a full-course dinner at Ludwigs Inn and a complimentary bottle of champagne. The Signature Souvenir Package includes a special champagne toast, fresh baked goods and orange juice during morning flights, champagne snack trays during evening flights, a signed photo of the balloon, and souvenir pictures that are available for download 48 hours after each flight. The PA balloon rides are ideal for family picnics, birthday parties, anniversaries, company picnics, and other special events. Beautiful Hot Air Balloon Ride in PA! 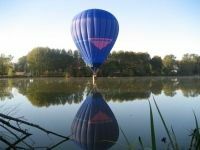 One of the most experienced ballooning companies in the country, Above & Beyond Ballooning offers top-quality flights year-round above the gorgeously scenic Chester County as well as Hunterdon County, NJ. The passionate crew members at Above & Beyond are professional and friendly, and do everything in their power to make your journey unforgettable. Balloon flights are scheduled all 7 days a week, and each flight can last anywhere from 45 minutes to 2 hours! The launch site is approximately 45 minutes west of Philadelphia. If you're in the NJ area, there's another launch site at Solbert Airport in Readington (under an hour from New York City). Bask in the glorious landscapes filled with rolling hills, fields, farmlands, lakes, rivers, forests, and other civilization. Encounter various types of wildlife like deer, horses, geese, cows, sheep, hawks, foxes, and more. All fun-filled PA hot air balloon flights are followed by traditional post-flight champagne celebrations, complete with hors d'oeuvres. Exciting Hot Air Ballooning in Central PA! Established in 1992, the mission of Windjammer Balloons is to create a safe and exciting adventure for all its passengers. Windjammer Balloons has flown at festivals in Pennsylvania, New York, Maryland, West Virginia, Florida, Virginia, and New Jersey. They have also been hired by numerous organizations (i.e. : Bricker's Famous Fries) to provide corporate services. All pilots are insured and FAA certified. Flights are scheduled 7 days a week, and each flight is an hour long. If your flight gets cancelled due to inclement weather conditions, it will be rescheduled as soon as possible. Launch sites are spread throughout several sections of Southern PA. Windjammer's fantastic hot air balloon rides in PA are perfect for weddings, engagements, corporate programs, picnics, and other special events. 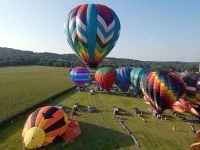 Top Weekend Hot Air Balloon Flights in Pennsylvania! AE Balloon Flights in York, PA offers two flights per day and operates during the weekends. During one of your awe-inspiring flights, you will achieve a great bird's eye view of the beautiful South Central PA landscape. Soar over rolling hills, green pastures, and open farmlands merely inches above the waters of the Susquehanna River. The FAA-certified pilots obey all traffic laws and will guarantee a safe flight. AE Balloon Flights has been accident-free since the business premiered in 2001. A typical flight lasts 45-90 minutes and each balloon holds up to 6 passengers, plus the pilot. Each flight kicks off with a Champagne or Sparkling Cider Toast. For business owners, if you're looking to get your company's name on one of their high-flying balloons, corporate advertising is available. AE Balloon Flights has helped promote such popular chains like Applebees and Sonic. Gorgeous Hot Air Ballooning Experience in PA! 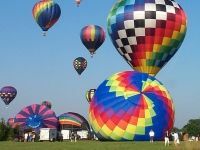 Enjoy a once-in-a-lifetime ballooning experience with Aapex Sunrides in Chester Springs. See Pennsylvania from a totally different perspective, soaking in all its natural beauty. During your ride, you will fly over rolling hills and through the river valleys of the Brandywine River, French Creek, and the Schuylkill River. Watch the deer, foxes, horses, and pheasants scurry through the broad open fields. You may even find red-tailed hawks or bald eagles soaring alongside you! Aapex is a short drive from many Pennsylvania towns and cities including Reading, Allentown, Lancaster, West Chester, Pottstown, and Philadelphia. Each balloon can carry up to 5 passengers, plus the pilot. The PA hot air baloon flights last approximately 1 hour and each one ends with a Post-Flight Champagne Celebration! The pilots and crews are highly professional. Best Hot Air Balloons in PA! Balloon Rides Across America is the premier hot air ballooning company in the U.S.! No matter which state you reside in, you can find a launch site in close proximity, as there are nearly 100 locations! The company's mission is to provide the best, safest, and most enjoyable flight possible. All the pilots are FAA certified and of the highest caliber. Take a ride on one of their state-of-the-art hot air balloons. 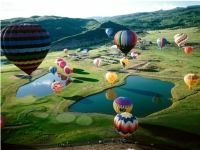 Balloon Rides Across America even offers 3-to-5-day tours in the most scenic areas of the U.S. Experience the best in each region's scenery, attractions, and culture. Between each flight, you will be awarded with the finest of that region's cuisine. In Pennsylvania, you can take a 3-day tour through the Brandywine Valley, Pennsylvania Dutch Country, and Lancaster County. With the 5-day tour, the trip continues over Central PA and the Delaware Water Gap. Up and Away Balloons, Inc.
Best Hot Air Ballooning in Eastern PA! Savor the ultimate hot air ballooning experience with Up and Away Balloons in Holland, PA. The Bucks County ballooning company offers morning and evening flights, tethered flights, post-flight champagne toasts, and souvenir T-shirts and memorabilia. There are different magnificently designed balloons, including one called The Liberty Bell, which is shaped exactly like the famous Philadelphia landmark. The great PA hot air balloon rides are perfect for birthdays and other special events. Each flight is an hour long and there are plenty of opportunities for beautiful photographs. The pilot is an experienced flyer, who has flown across multiple states as well as parts of Canada and France. 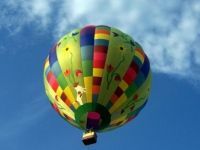 Fun Hot Air Balloon Rides for Families in PA! Coast over scenic Bucks County with On Your Way Up Ballooning! This professional PA hot air ballooning company has been in business since 1990. All year long and 7 days a week, you can book a lovely 1-hour balloon flight of your choice. On Your Way Up's pricing rewards programs include discounts for every additional person added to your group. All weather-permitting flights take off from Pennsylvania's Quakertown Airport. Visitors have raved about the fun, safe, family-friendly flights. The pilot, Bob Ward, is an expert flyer who will ensure the safety of you and everyone in your party. Gift certificates are available for purchase. Great Hot Air Balloon Rides in Eastern PA! 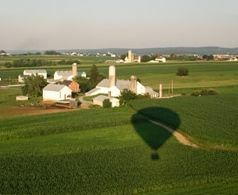 Embark upon a fantastic ballooning adventure as you fly over the amazing Pennsylvania countryside with the Sky Riders Balloon Team! Let the slow breeze take you over delicate rolling hills and forests, as you snap photographs of the various wildlife (i.e. : deer, foxes, rabbits) beneath you. You may even soar high enough to see the Philadelphia skyline! The pilots are safe and conscientious flyers. Depending on weather conditions, each ride could last an hour or an hour and 45 minutes! Each flight is capped off with a traditional champagne toast. Sky Riders' Pennsylvania hot air balloon rides are great for special occasions, like birthdays and anniversaries. The hot air balloons can accommodate up to 4 people, and all aircrafts are inspected yearly by an FAA-certified repair station. The Sky's the Limit Ballooning, Inc. Year-Round Hot Air Balloon Rides in Central PA! The Sky's the Limit offers hot air balloon rides in Central PA's State College area. Float through the skies and over meadows, and brush across numerous treetops on an endlessly exciting aerial adventure. All the balloons are of topnotch quality and are inspected regularly by an FAA-approved facility. Flights are available year-round, with each flight lasting approximately 1 hour. Your flight is commemorated with a champagne (or sparkling cider) toast. The pilot is FAA-certified and holds a Commercial Pilot's License. Special events are regularly hosted at Sky's the Limit, including tethered balloon rides. With a tether, you're able to experience the sensation of flying 80 feet in the air, while still being secured to the ground. Gift certificates are available for all special occasions. Great Hot Air Balloon Ride in Pennsylvania! Based in Southeastern PA, The United States Hot Air Balloon Team allows you to explore the majestic Philadelphia countryside from thousands of feet in the air! View Philadelphia's alluring skyline! Experience all sorts of nature and wildlife from a unique vantage point! Drift over lush green pastures, lofty trees, and rolling hills. You can even take a romantic hot air balloon ride before sunset. Clients have regarded the balloon rides as truly splendid experiences. The pilots at the U.S. Hot Air Balloon Team are FAA-certified and some of the best in the country. The world-class organization has been featured in reputable travel and adventure magazines. The company only uses the most advanced state-of-the-art hot air balloons and equipment. Gift certificates are available. 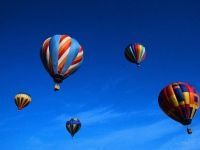 Daily Hot Air Balloon Flights in PA! Located merely 1 hour west of Philadelphia, Magic Mystery Flights offers daily hot air balloon rides from West Chester, PA and Exton, PA. The company is run by a fifth generation ballooning family and the pilot is FAA certified. Magical Mystery has four different launch sites. Experience a wonderfully exciting ballooning adventure with no turbulence! Morning sunrise flights are available all year long, and evening flights are available from May through October. Take a romantic balloon ride, overlooking the city at night! Each flight is capped off with a champagne celebration. 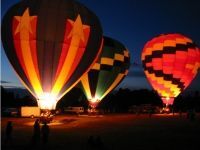 These PA hot air balloon flights are perfect for special occasions like weddings and birthdays. Scenic and Relaxing Hot Air Ballooning in PA! Owned and operated by Rick and CJ Bryant of Easton, PA, Sights Unseen Hot Air Ballooning rewards you with a lasting aerial experience. The balloons are piloted by Rick Bryant, whose 40 years in aviation includes flying Navy aircraft carriers. 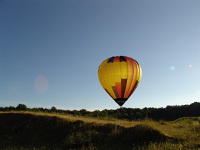 Clients have complimented the balloon rides for their scenic and relaxing qualities. The pilot and crew are informative and friendly, and keep all clients up to date on questionable weather conditions. Explore the beauty of the PA countryside and Lehigh Valley. Skim along tree tops. Be sure to keep your camera handy, as various forms of wildlife traipse across the fields. Flights are available from May through October. The gift certificates are perfect for birthdays, graduations, retirements, and anniversaries. Best Place to go Hot Air Ballooning right outside of PA! 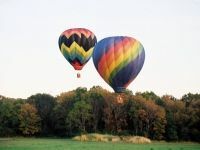 Romantic Balloon Rides just minutes from Pennsylvania, in Northern NJ! 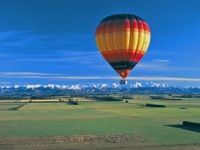 Join HAVE BALLOON WILL TRAVEL for an exciting and unusual overnight getaway combining the adventure of a hot air balloon flight with the romance of a comfortable night spent in an elegant bed and breakfast! You can choose either a sunrise or evening flight accompanied by an overnight stay in a charming, local bed and breakfast. HAVE BALLOON WILL TRAVEL will make all of the arrangements for you! Please call 1-800-608-6359 for overnight pricing and availability! 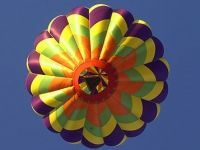 See more information about their romantic balloon ride getaway.